Moo Cantina Brick Lane offers hearty, fine Argentine dining, with Argentinian steaks, flavourful "lomitos' (gourmet sandwiches), tasty empanadas, a great selection of wines and cocktails. Really good steaks! And homey atmosphere with no crowd around. Great deal phenominal value definitely recommend it! We celebrated my Sons birthday and had a lovely evening. We all arrived later than our table time but there was no pressure from the staff and they were very helpful and accommodating. The food was well received by everyone and good value for money. Would highly recommend anyone to try this restaurant. Great atmosphere and if you are lucky you get a dance show by the young ladies in the flat opposite!!! Amazing food and great service. Will definitely be returning. Valentine’s Day dinner! Great service. Empanadas were delish; tried the chicken and the beef. Our steaks we’re done perfectly, as we’re the fries. Service was attentive and not hovering. Prices were phenomenal. Our server didn’t know what Opentable was. The Opentable offer was wrongly described so we had to make do. The empanadas were [still] frozen and the atmosphere was sort of like a youth hostel common room. We were offered some more of those empanadas on the house. Apart from that the steak was ok for the price although surprisingly undercooked for a medium rare in a place like this. 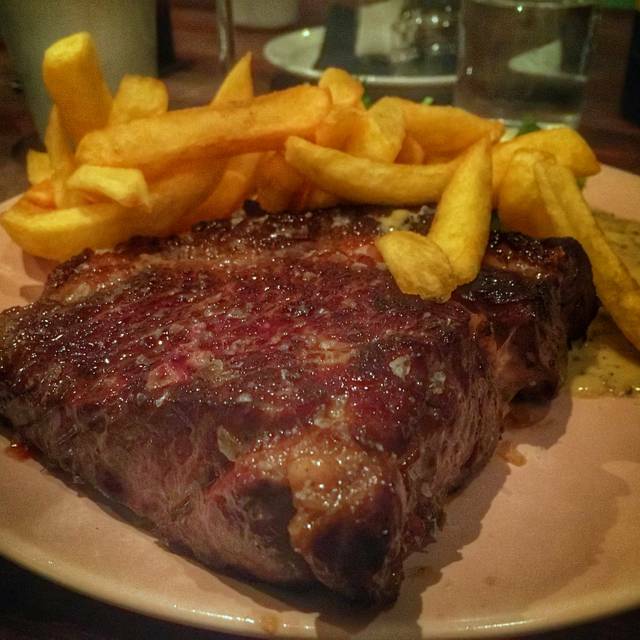 Pay double for Hawksmoor or similar or a cheap gem you know of... or don’t bother. the flavors and the decoration made us closer to home. Great place to eat. Lovely food. Great service. the food was ok but not great, the nachos were great and the steak also but the rest was not very good. we ordered the sharing platter as a starter and we were not impressed with the chorizo or the black pudding. The service was ok but they were short staffed, we waited quite a while for our food and for top ups for our drinks. Great location and fun atmosphere. Excellent food and cocktails and friendly attentive service. Would go again. Fantastic little gem of a restaurant in Brick Lane. Often so hard to find somewhere in London where the staff actually seem like they want to be there and serving you! Great food, excellent service and really lovey 'local' feel. Had booked a table for 9.30pm on a Saturday night. After being seated we waited 25 mins and nobody had come to get even our drink order so I had to go ask if we could order. Someone came straight away and took our food and drink order. We then waited another 10 minutes for our drinks and a further 35 minutes for our food. The food was tasty and we all enjoyed our food. We also had desserts which again took an age. But they were worth it. An enjoyable evening with fab Gin! But service needs improving!! Absolutely love Moo Cantina, I try to go as often as possible to both the Middlesex St and Brick Lane venues. The steaks are amazing, such great quality especially for the price. Staff are all lovely, very friendly and helpful and always make you feel so welcome. I'd highly recommend it and have introduced many friends to the place so far and they've always been impressed. Informal bar/restaurant with a great latin vibe. Smallish menu but food was excellent. The calamari to start was melt in the mouth and my husbands very reasonably priced steak was excellent. As a vegetarian the options were limited but the grilled aubergine was delightful and the sweet potato fries were the best I have tasted. I think it's safe to say we had a lovely meal and very enjoyable evening. We booked a table at the last minute as wanted somewhere local to where we were staying in Brick Lane and we wanted steak, this came up as a recommendation. We weren't disappointed, we ordered the mixed meat grill for two and it was lovely and plentiful. We would definitely recommend to friends and will go back again. The meal didn't start well. We had booked a table, but the walk-ins in front of us were given the best table in the house and we were waved around to choose any of those left. We both ate the tenderloin steak, which had a large strip of fat down the middle, which is the first time I have ever seen tenderloin served this way. The chips were bog standard fries which were over salted, and the sauces too similar (we had peppercorn and blue cheese). Overall the food was far from terrible, just very bog standard and not really worth the money. If you want to go out for good steak avoid Moo Cantina. (Update, my partner has since been again and told the waiter we were local, who then ensured he got a better tenderloin and gave him a discount. In my view however tenderloin ought to mean tenderloin to every customer). Was a great evening with great Food. Meat was incredible and Fries nece and slim. I had a steak and my friend had chicken, both of them were amazing. The place looks very cosy and the service was good. The only reason I gave 4 out of 5 for service is because we had to wait quite a long time to receive the bill. However, besides this, the service was really good and overall a nice experience. I booked Moo cantina for my girlfriends birthday surprise meal the staff were very accommodating in helping me make it a surprise that there were other guests turning up. Two of the guests were running late and so I asked to delay sitting down for 40 minutes and instead the rest of the guests sat in the bar area (which was lovely). The cocktails were really nice and happy hour which finishes at 7 made sure they weren't too expensive. When we finally did order the food the staff were very nice and the food was amazing. I recommend the steak sandwich, which is hidden on the bottom left of the menu. The only complaint i could have is that the drinks take a while to arrive to the table but they are well worth the wait! Hey had some issues in the kitchen and we waited almost 2hrs for our food. They apologised and gave a discount which was appreciated but it did ruin the evening a bit so I probably wouldn't ever book it for a birthday party again. But it's probably fine if there are just a couple of you. We had a great welcome from the ladies as we walked in. Service was excellent and very friendly. Excellent venue for group bookings and for those who don't fancy a curry. The empanadas were delicious and my sirloin was cooked perfectly. Everyone seemed pretty happy with their meal and drinks - would return. Nice location, very good food. Lovely treat, quick and kind service. Go for it! I love South American culture and Buenos Aires is a favourite city of mine. You can expect Argentine measures of Fernet and Coke, a Milanesa the size of your face with great service and happy, smiling handsome waiters. 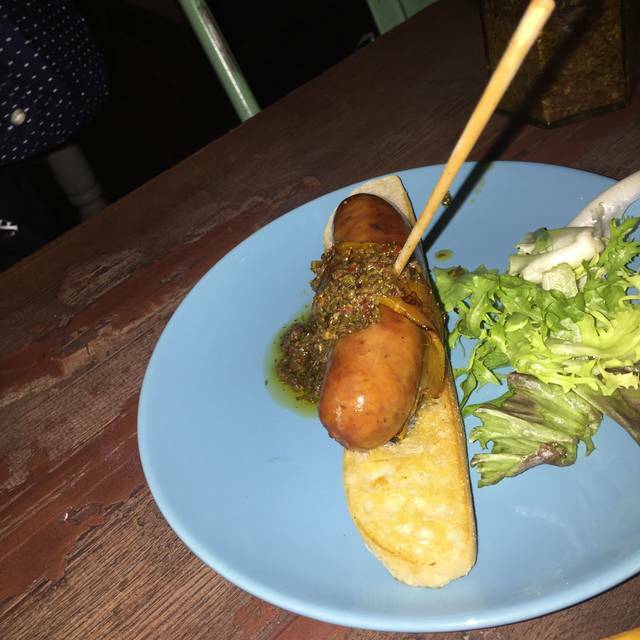 Moo Cantina in Brick Lane oozes South American hospitality and attracts groups of Argentinean customers who are missing their home comforts and dulce pancakes!! Great place! The quality of the food was great but the service was desperation. We had to order everything two times and they didn't even bring some stuff... Very disappointing. Coming from Argentina and living in London, it's not easy to find true Argentine cuisine with good price quality. I will definitely come back! I went to Moo with my partner on a Saturday night. The food was really well cooked and very tasty. The general ambience was lively and fun although they were playing what was basically club music in a restaurant which I can never understand. The service was attentive and overall friendly although it baffles me how the waitress took our payment and moved to the next table without saying thank you or goodbye! Empinadas were excellent. Steak was nice was ok, nice but not spectacular. It was a Monday, so ambience was subdued. Nice place. Easy to find, attentive staff, lovely food, nice cocktails and good value for money too, would happily go there again. Lots of people there, always a good sign, and a decent selection on the menu..not bad at all. Waited ages for every course even though we were the only table at lunchtime and the starters came out undercooked with cold chicken in the middle of the empanada's. Took 2 hours for 3 people to have lunch and no apology or discount offered for the inconvenience. It was a real shame as we were looking forward to it, but I can see why they didn't have any customers. Serving meat not cooked properly is very worrying. We had a great fillet of beef steak and a nice chicken main dish. The crepe dessert with dulce de leche inside was a highlight. Service was attentive and professional. Originally booked for 6 our party grew to 7 then 9 - this was not a problem and we were given the big table upstairs. Service was friendly and very efficient- great atmosphere in the restaurant- the menu offered plenty of choices for all tastes and budgets. Great selection of beers and wines too. Will be back soon! Hi all at Moo, I'm sure you will see this review as I got a rather pleasant surprise when I had my meal on Saturday. The staff at Moo took the time to read my previous review and saw that I was returning to take my boyfriend for a birthday meal and gave us a free cake with a candle. Myself and my boyfriend both sat there for a while wondering how the hell they knew it was his birthday as neither of us had mentioned it, however the staff at Moo read my previous review and saw that I was there for my boyfriends birthday. Excellent customer service and a lovely touch!! The food was exceptional- I had so much calamari to start which was amazing! The steak melted in your mouth and the garlic and parsley chips were cooked to perfection. Our waitress- Demi was a lovely girl who came over for a chat and was genuinely interested in us and what we had been doing throughout the day. She mentioned that she was off to Greece for a month so good luck Demi I hope all works out for you!